Shiksha Bharati Public School, Sector-7, Dwarka Celebrated Children’s Day on 14th November, 2014 in the School Premises. The Chief Guest was Mr. Avinash Jain, M.D. of Arise India Ltd. He was welcomed by Hon’ble Manager Madam with a bouquet, shawl and a memento. All the Teachers and Students were impressed by enthralling speech of the Hon’ble Chief Guest. A cultural Programme was presented by the students consisting of a Group Dance Performance by tiny tots, one action-packed speech by the nursery student Srivardhan and pry student Priyanka followed by a impressive Nukkad Natak on “Swachhta Abhiyan” and patriotic song by the Senior Students. 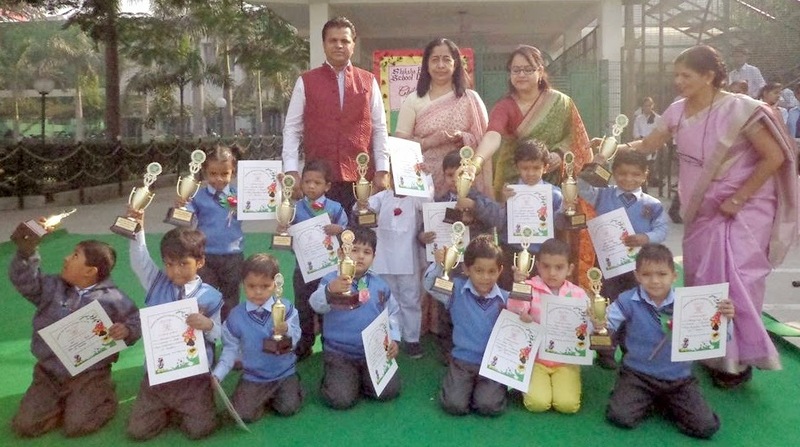 Prize Distribution Ceremony was organized for the Zonal and Inter-House competitions conducted during the year. Manager Madam conveyed her special blessings to the students and then Principal Madam proposed a vote of thanks & the programme came to an end.